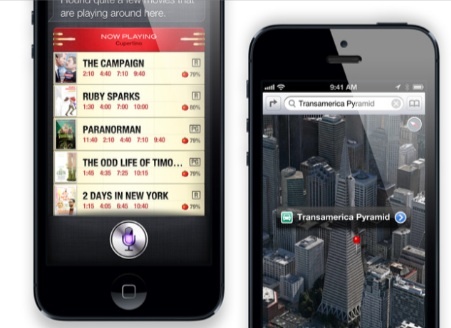 It would be too easy to focus on the immediately apparent shortcomings of the new iPhone 5 and the latest iOS 6 update. The complete removal of the essential YouTube app and the introduction of the distressingly poor maps tool are massive own-goals that even the most ardent of Apple fans find hard to justify. The iPhone maker has a big problem with Google and it has decided to put corporate self-interest ahead of the customer, fobbing off the user base with fudges, compromises and omissions that impact significantly on the functionality of the device. We'll get that out of the way first, because in all other areas, the iPhone 5 is a superb piece of technology, and arguably the best smart phone on the market right now. It's not quite good enough to justify the eye-wateringly expensive upgrade from the existing 4S, but run the phone side-by-side with virtually any 2010-vintage handset and the difference is obvious. With the existing 4S, there's an element of weight combined with the feel of the cold metal surround in the palm of your hand. It gives an impression of power, quality and refinement in one tiny, deluxe case, and somehow, this reassuring feeling is missing from the new product. iPhone 5 feels almost anonymous in comparison, light almost to the point of weightlessness and with little in the way of real physical feedback from the materials, an engineering accomplishment that defies preconceptions somewhat: you'll turn the unit over in your hands, pondering over how this much power is contained in so slight a chassis. On a more basic level, we're also happy to report that the home button appears to be significantly sturdier than it is on the 4 and 4S, a very useful improvement bearing in mind the problems experienced by many here in terms of wear and tear. The decision to expand the screen vertically while retaining the same width pays off nicely. The screen remains easily navigable, and despite the increase in real estate, the phone still manages to feel as small and handy as the 4S before it, thanks in part to the reduction in thickness and weight. Display quality itself is simply immense: the 44 per cent increase in color gamut represents a massive improvement over the screen embedded in the 4S. We actually found that this seemed to work best when using the photographic elements of the new phone: the on-screen preview and review of captured imagery seemed to give us the most noticeable improvements compared to the preceding iPhone 4S, but in all areas, the deeper blacks and more vibrant colors truly set this apart from the older display. Changes have been made elsewhere too: the 3.5mm stereo jack headphone socket moves from the top to the bottom of the device, while the old 30-pin dock connector is jettisoned in favor of the new all-digital Lightning socket, smaller, reversible, but featuring no real speed or functionality improvements over the out-going interface. Of far more note are the new ear buds. Apple has finally given its signature poor earphones the elbow, and while the replacements won't wow audiophiles, the improvement, particularly to bass, is instantly apparent and it's a highly worthwhile upgrade overall. Also impressive are the optics within the new iPhone, making this a decent if not spectacular 8-megapixel point-and-shoot camera. There's no revelatory increase in overall quality compared to the 4S, but it's still a highly capable performer for a smart phone, able to hand in some good results in decent lighting conditions. Results from the 1080p30 video camera were also surprisingly good, bearing in mind the amount of compression required to keep file-sizes manageable. From a technical perspective, Apple's work with the A6 processor represents a fundamental change to its engineering ethos. Previously, working from the position of unparalleled market leadership, Apple has spared no expense in bringing its technology to market, a situation summed up best by the lavish A5 and A5X processors. Fabricated at 45nm, these are big, expensive to produce chips, with Apple leading the way in graphical performance in particular. The dual-core A5 in the iPhone 4S occupies around 120mm2 of die-space in comparison to the 80mm2 of the quad-core Tegra 3, as good a stat as any in emphasizing how much the firm is willing to put into build costs in order to ensure the best-performing hardware. Clearly, it's an expensive approach, but money isn't something Apple really has to worry about: the real concern would be about overall efficiency. Things have changed with the A6. Based on preliminary benchmarks in combination with a forensic analysis of the new chip from the experts at UBM TechInsights, it becomes clear that Apple has a brand new approach to designing its processors, not just licensing existing tech in common with every other smart phone maker, but customizing and improving it. A6, still boasting a dual-core CPU, meets Apple's claims of doubling performance over the A5, but does so seemingly with just a modest 200MHz clock speed boost up to 1GHz. This appears to be a result of Apple's engineers customizing the design of the existing ARM Cortex A9 CPU cores, introducing innovations such as improved memory controllers and dynamic clock-scaling, with the chip essentially over clocking itself depending on the needs of the application and the thermal headroom available. The move towards what looks like Samsung's 32nm fabrication process also helps, and with a die-size confirmed at around 95mm2, again suggesting a new focus towards efficiency: by comparison, A5X at 45nm came in at 162mm2, a core as large as many desktop PC CPUs fabricated at a similar process. It's an interesting exercise, not only in comparing the state-of-the-art devices like the S3, the latest iPad and the new iPhone 5 (though bear in mind that the GL Benchmark results will be as much a test on the Open GL API implementation as it will on the hardware), but also in charting the meteoric rise in mobile performance over the last few years. While GPU power has shot off the charts, the increase in CPU capability is arguably where most people will feel the difference, OS response and browser speed will both be intrinsically linked to this particular boost. Of particular interest is the fact that the A6 processor appears to comfortably outperform the A5X in the latest iPad on every test we threw at it. This is especially intriguing from a graphics perspective: Apple utilizes a PowerVR SGX543 MP4 in its latest tablet (very similar to the GPU core in PlayStation Vita) whereas UMB TechInsight's analysis seems to suggest that the graphics core count drops from four to three in the A6. Here we can assume that Apple is using the additional thermal headroom from the smaller chip fabrication process to run the three cores at a higher clock speed in order to match the A5X. The fact that A6 beats out the A5X in GPU tests is somewhat surprising, and may well be down to the more advanced CPU architecture found in the new phone. After all, the graphics core is fed from commands supplied by the main processor. The Geekbench 2.5 app gives us a strong series of tests in which to compare CPU performance, and here we stick with iOS devices, specifically the 4S, new iPad and iPhone 5. The overall results are hugely impressive, with Apple's custom modifications to the ARM architecture clearly paying off, the new iPad comparison in particular is interesting in that both A5X and A6 operate in the realm of 1GHz, but the gap in performance is simply immense. In the real world, this translates into a smoother browsing experience, with fluidity especially improved on hard-to-render, graphically intensive pages. While the feel of iOS 6 itself is improved overall with the new architecture, it's safe to say that gulf in the benchmarks isn't really felt in the response of the operating system when compared directly to the 4S. Apple appears to have done a great job in optimizing its latest OS, with older devices such as the iPhone 4 and even the 3GS coping admirably bearing in mind the power deficit in relation to the latest handsets. Going forward though, it's clear that the iPhone 5 has the headroom to accommodate more demanding future revisions of iOS, and even in the here and now we see some examples of the additional power on tap. Loading up the reviled maps app, centering on Buckingham Palace in London and switching to the hybrid satellite view, the iPhone 5 makes a good fist of rendering the streets of London in full 3D at something approaching 60FPS as we pan north and south across the city. The iPhone 4S still hands in decent enough performance, but the fluidity is nowhere near as impressive and there's plenty of stutter. The latest iPad fares even worse on the same test with an unimpressive frame-rate, mitigated somewhat by the sheer amount of real estate for rendering the maps on-screen combined with the immense 2560x1536 resolution. Also worthy of comment is that Apple's claims for battery life appear to be on the money. Our benchmarking and gameplay runs stress the processor considerably, but while the 4S was in need of a recharge by the time we'd finished, the iPhone 5 still had around 25 per cent capacity remaining. Not only that, but the new device was noticeably cooler in the hand during demanding tasks, too. More powerful and at the same time more efficient: Apple's new approach to engineering the A6 really seems to have paid off. At the iPhone 5 launch event, we had little in the way of information on how the new processor would improve the already excellent graphical performance of the existing iPhone 4S, aside from an impressive-looking Real Racing 3 demo and some nebulous 2x GPU power claims. However, as we've already seen from the benchmarks, Apple appears to have delivered on its promises, with hints that performance is actually operating in excess of the silicon-heavy, power-hungry set-up found within this year's iPad. 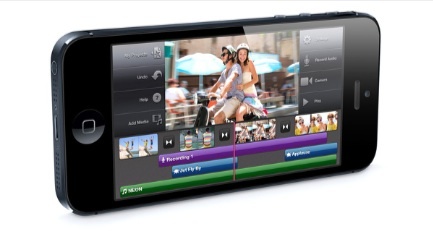 Combine that with the much lower resolution, and the iPhone 5 should in theory be a real gaming powerhouse. But in the here and now, how does that translate to the actual gameplay experience? In theory, doubling processing power across the board should lead to some pretty dramatic improvements on existing software. Games should be liberated from the most of the limitations the developers faced when originally creating them. There should be plenty of overhead for supporting the additional 18 per cent of resolution offered by the new 16:9 display, and frame-rates should be considerably improved, too. We played each title on both phones, one after the other, clearing memory each time to ensure full system resources were available to each game. Then we played them again, this time recording key sections on a high-speed camera so we could physically count frame updates in like-for-like scenes in order to back up our findings. 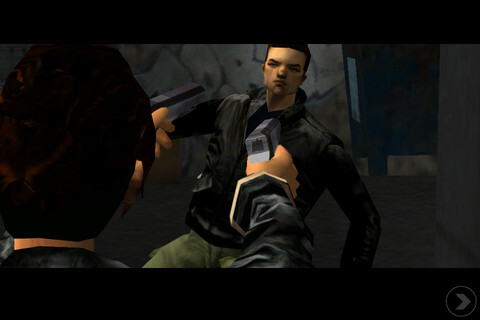 Grand Theft Auto 3 was the real surprise here in that we could discern very little improvement between running the game on the 4S or the 5: frame-rate appears to be capped at 30FPS, and both pieces of hardware had no real problems sustaining that on our test sections. Infinity Blade 2 also appears to be frame-rate limited as well. This time though, the difference between the 4S and 5 was noticeable, simply through virtue of the fact that the dips in performance we've witnessed on both iPad and iPhone appear to be all but eliminated, giving a pleasing, consistently smooth gameplay experience. Perhaps this is to be expected, bearing in mind that we have new iPad GPU power being deployed on a much lower resolution, with a useful boost in CPU processing might to boot. We have the feeling that Infinity Blade 2 could be patched to support 60 frames per second; let's hope that happens, as it would transform the game. Clearly, it's the games that operate at unlocked frame-rates that benefit the most from the hardware upgrade: the new CPU/GPU architecture gets to flex its muscles when not artificially limited, and it's because of this that Gameloft's Modern Combat 3 and NOVA 3 show the most dramatic improvements of all the games we tested. 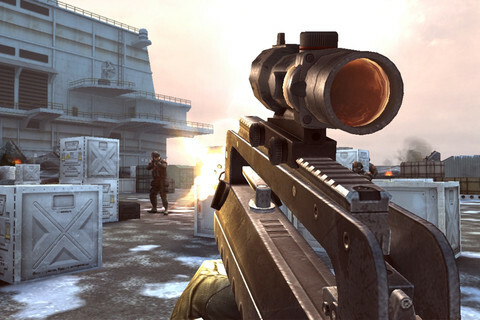 Bolstered by the new hardware, Modern Combat 3 takes one step closer to matching the feel of console Call of Duty experience it blatantly seeks to mimic: the inconsistent frame-rate of the game on all previous iOS platforms is banished in favor of an update that only very rarely deviates from the max 60 frames per second allowed by the operating system and the display (v-sync is rigidly enforced on all applications on both iOS and Android). The result is genuinely impressive. Not only is the action much, much smoother, but the touch controls benefit as well. Input lag is significantly reduced, and the virtual joystick controls work much more smoothly. This is easily the biggest improvement we saw in any of the games we tested up against their 4S counterparts, suggesting that many 3D titles could be significantly improved if developers adjust their frame-rate locks on their existing titles with the new hardware in mind. NOVA 3 appears to be based on the same rendering engine as Modern Combat 3, but implements higher quality 3D modeling, more complex environments and additional visual effects, the extent of which depends on the nature of the device you run it on. On iPad 2 and iPhone 4S, the game looks a treat, but frame-rate is extremely variable while the new iPad operates at Retina resolution at the expense of both a consistent update and much of the effects work seen on the other platforms. Regardless, the enhancements made to the engine introduce a significant amount of additional load compared to Modern Combat 3, resulting in an obviously noticeable hit to performance. Not surprisingly, the iPhone 5 version retains all the bling but produces a far more consistent update overall compared to the 4S, usually operating at 30FPS, but with occasional spurts to 60 when the rendering load is less pronounced. What we're seeing here is exactly what we saw with less complex Modern Combat 3 on the older iOS platforms: the engine displays one frame, then renders the next before flipping the frame buffer when the screen refreshes. An adherence to v-sync eliminates tearing completely on all applications, but can see significant variation in frame-rate, resulting in judder on-screen. With NOVA 3, the additional horsepower on offer with the iPhone 5 works mostly in leveling out the frame-rate, eliminating most of the disappointing performance dips we see when running the game on our existing iPads and iPhones, but without compromising on the visuals. Gameloft set out to create a Halo/Crysis 2 hybrid in miniature, and with the new A6 hardware, NOVA 3 gets pretty close to that ideal. Mathematically speaking, we're looking at just 18 per cent of additional real estate, so it's not exactly a game-changer, but clearly it's good to see developers getting to grips with the new hardware and pumping out optimized updates within hours of the new handsets reaching the audience. Not only that, but banishing the black borders is clearly a good thing, especially if you're the owner of a white iPhone 5 variant, where the letterboxing is overly intrusive. 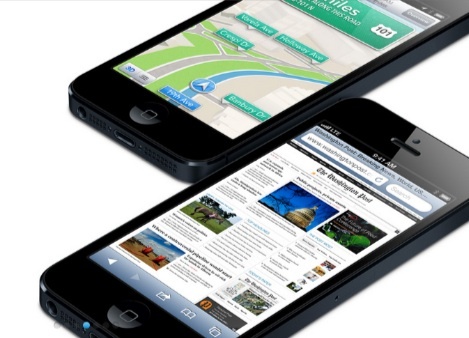 While the iPhone 4S was dismissed by many as little more than an iterative upgrade, the fact is that in terms of processing technology we saw a massive increase in power over its predecessor, thanks to a move to dual-core CPU architecture combined with something between a 4x to 7x boost in graphics performance. It's a crazy world where the doubling in processing power in this year's model feels a touch disappointing, but side-by-side with the 4S, it's the iPhone 5 that feels like the iterative improvement in terms of OS, browser and gaming fluidity. It's an interesting example of how specs get taken for granted, and how pundits and users alike are looking for more. And when it comes to the "more", the iPhone 5 delivers. The new form factor works beautifully, delivering a widescreen presentation that makes reading websites easier, and improves media consumption capabilities considerably. The phone itself still feels small, svelte and easily pocketable, and while build quality remains consistently high across the whole device, it's the lightness to the phone that is truly remarkable. This is a product where the best improvements have been reserved for the interactions between user and device: it feels comfortable in the hand, and the screen, the primary interface, is a superb improvement over last year's model. The display size makes the OS easily navigable, and color reproduction is sensational. However, bearing in mind the substantial cost of the new phone, it is difficult to wholeheartedly recommend the upgrade to those currently using the 4S, in part because Apple has done such a great job in making iOS 6 operate so smoothly on existing hardware, and also because right now, there's very little in the way of software that emphasizes the strengths of the new device. But in a world where the typical mobile phone contract is now 24 months, perhaps the real comparison should be with the iPhone 4 and the older 3GS along with its contemporaries. That's where we truly see a night-and-day difference in performance, and where an upgrade makes the most sense.